Vegan | Thanks a Glatt! 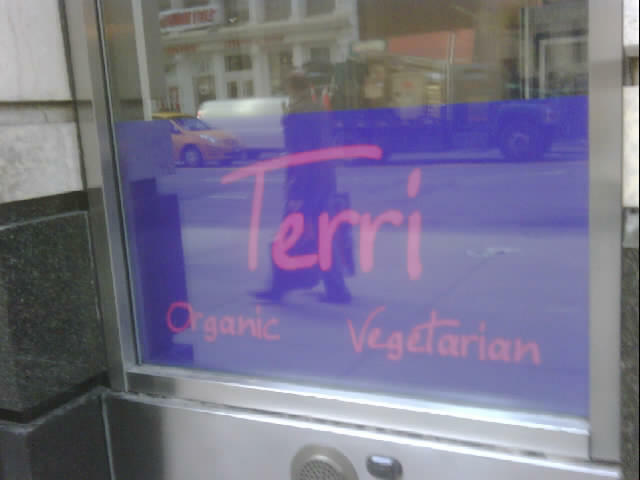 Terri is now kosher under the IKC! I have walked by this place many times and thought it was only a juice bar but apparently they offer a wide range of Vegan/Organic sandwiches and wraps as well as having fresh fruit and veggie smoothies. Have you been here before? Let us know how it is in the comments! Also, does anyone know much about the International Kosher Council as far as how good their hechsher is? Holla at us and let us know! Loving Hut, a 100% all vegan restaurant near Penn Station is now certified Kosher by Rabbi Israel Mayer Steinberg of the Cup-K.
FYI – Little Lads at 120 Broadway (map) is now kosher again under the supervision of Rabbi Israel Mayer Steinberg. PS. I am seeing a lot of searches wondering about the validity of his kashrut as well as the kosherness of the Vaad Harabonim Lemeshmeret Hakashrut. Anyone reading this care to tell us what you know?